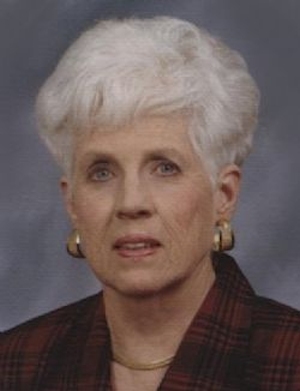 Obituary – Mitchell, Delores Francine (Brown) « Perry High School Alumni Association, Inc.
﻿Band 49-51, Class Assemblies 49-52, Class Secretary 50-51, Home Room President 50-51, Home Room Secretary 51-52, Mixed Chorus Treasurer 50-51, Jr. Play 50-51, Basketball Queen Attendant 50-51, Band Queen Attendant 51-52, Annual Staff 50-52, All-School Play 51-52, Annual Play 51-52. Delores Francine Mitchell was born August 22, 1934 in Seminole, Oklahoma to Frank F. and Etta Faye (Owens) Brown. She passed away Wednesday, September 23, 2015 at Integris Hospice House in Oklahoma City. 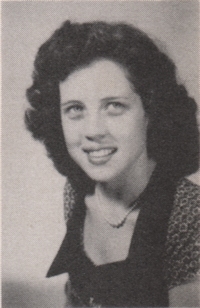 Delores graduated from Perry High School Class of 1952. On June 1, 1952, Delores Brown was united in marriage to Kenneth Bruce Mitchell and to this union three children were born Kenna, Kimberly, and Bruce. She was a member of the First Baptist Church in Perry. Delores worked in the accounting department at Ditch Witch for 26 years before retiring. Following retirement Delores was a dedicated volunteer at the PHS Alumni, and the First Baptist Church. September 17th, 2015 Delores was inducted as PHS Alumni Association Honor Roll 2015 for her many years of service to the PHS Alumni Association. Delores is survived by two daughters, Kenna Buffington and her husband, Larry, of Perry, Oklahoma and Kimberly Sinclair and her husband, Ron, of Stillwater; one son, Bruce D. Mitchell of North Carolina, three grandchildren, Derrick Sinclair and his wife, Heather, of Stillwater, Oklahoma, Daxton Sinclair and his wife, Jenna, of Edmond, Oklahoma, and Desirae Rice and her husband, Jason, of Guthrie, Oklahoma; and seven great-grandchildren, Camryn Sinclair, Peyton Sinclair, Daelon Rice, Jaxton Rice, Arabella Sinclair, Trenton Day, and Aspen Clarkson. She was preceded in death by her parents; her husband of 58 years; brother, Emory Raye Brown and one great-granddaughter Farrah Love Sinclair.